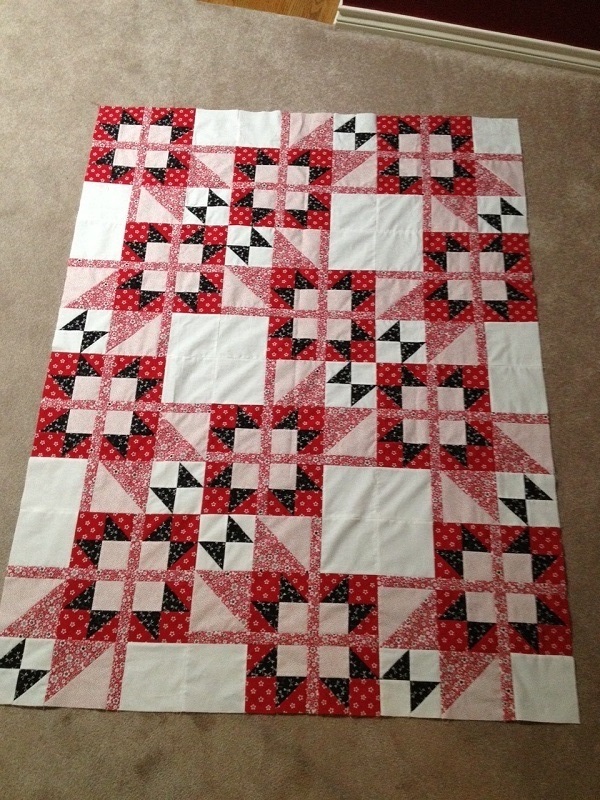 Trisha, here is my completed quilt top!! I love it!! Thanks so much for the class-it was great fun and I will now enjoy all those HST in future quilts!! Looking forward to book this fall and seeing other quilt tops by other class attendees!! Thanks for a wonderful day--loved seeing all your quilt designs!